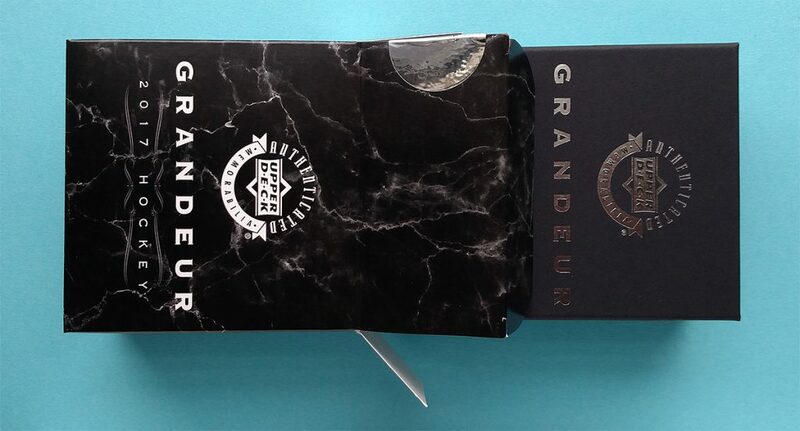 The outer cardboard box — more of a sleeve, really — measures 4.5″ by 4.5″ by 2.25″ and is sealed in shrink wrap. 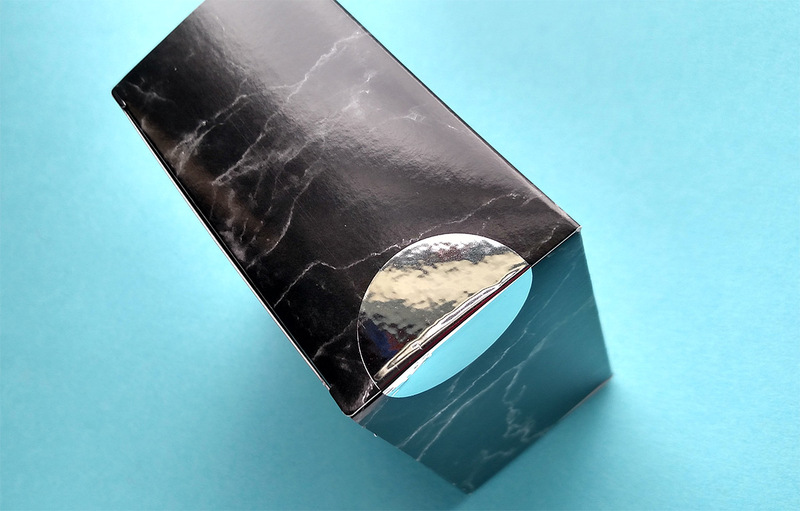 Once you remove the shrink wrap, you still have to cut one of two foil seals found on the box’s edges. Then you slide out the inner box. 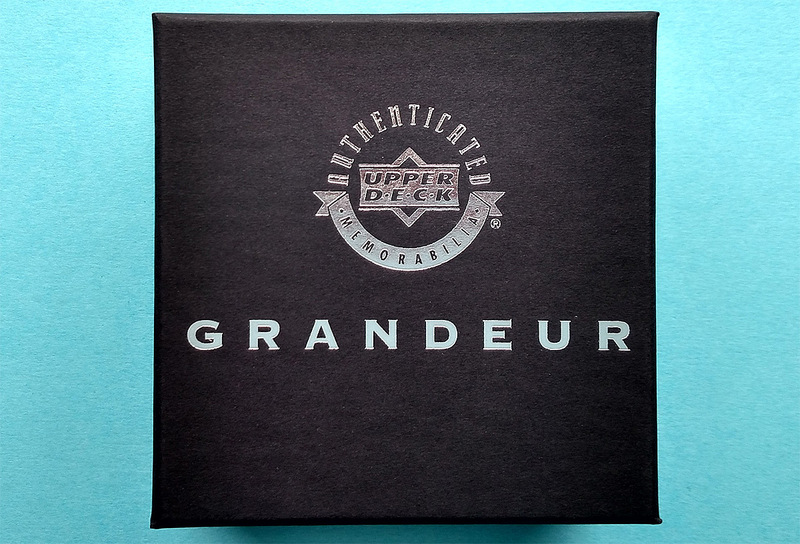 The inner box is like a gift box, with shiny, silver-colored embossed “Upper Deck Authenticated Memorabilia” and “Grandeur” logos on the top. Fitting, since a silver coin is inside. The top of the box flips up, and another flap that protects the coin flips down. Surrounding the coin is a foam square with a circle cut. This is a lot of packaging for one coin, but for $100, you’d kind of expect that anyway. 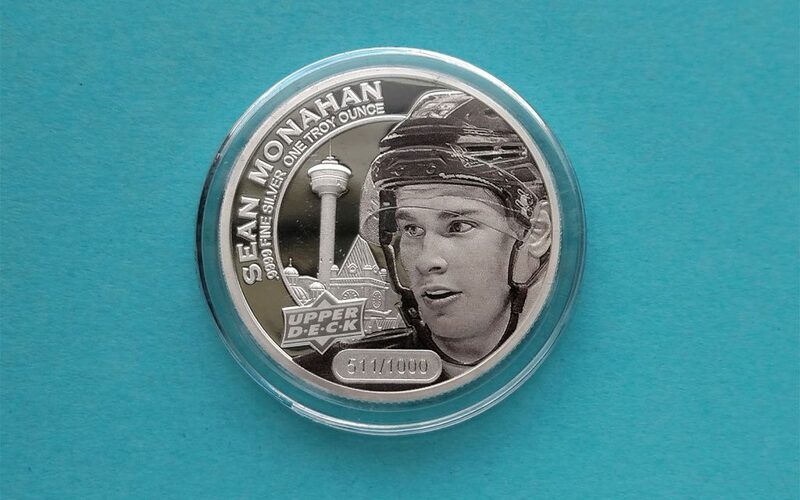 My coin was of Sean Monahan of the Calgary Flames. 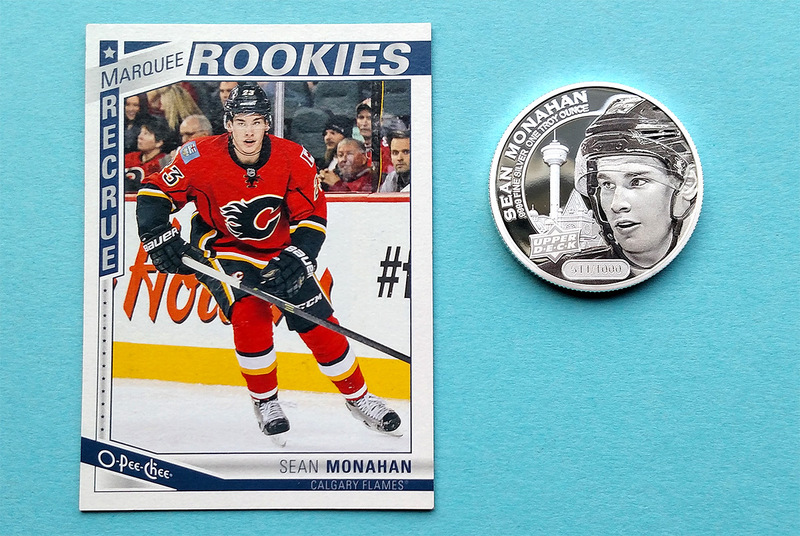 Er, I mean, Sean Monahan of Calgary. 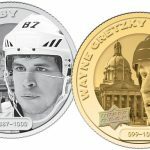 The NHL has nothing to do with these coins, so they don’t have team names or logos. Not that they’d really need them, anyway. 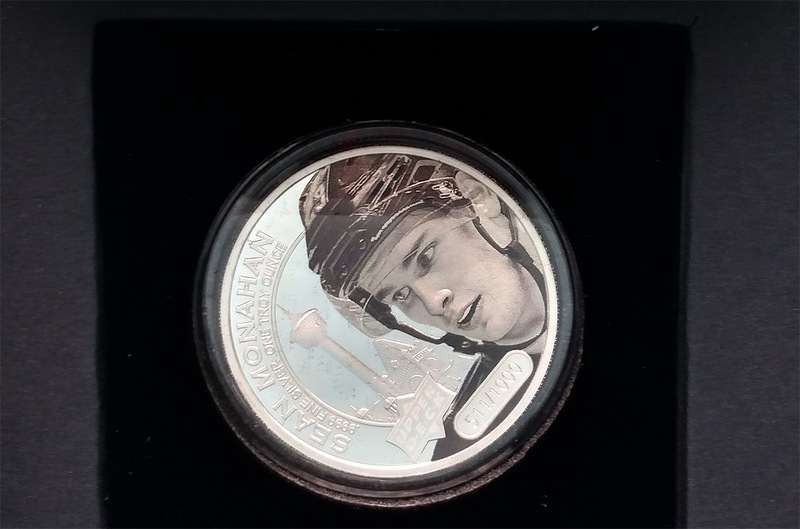 The coin comes encased in a two-part plastic holder, which is nice because you can handle the coin and look at it without getting fingerprints all over it. The back of the coin has an image of Queen Elizabeth II. 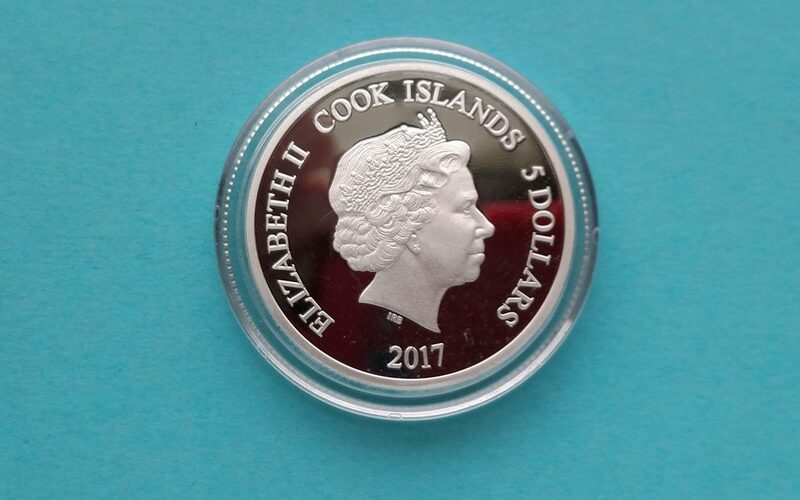 The coin is actually legal tender in the Cook Islands, worth $5. This is because coin collectors generally do not buy coins unless they are legal tender in a country. Note that the red that you see on the coin is actually a reflection of my phone, which I used to take pictures. This coin is a really bright and shiny silver color. There are four different versions of each coin, which I previously detailed here. This coin in particular is the High-Relief Silver version, which is limited to 1,000 copies, weighs one troy ounce and is 0.9999 fine silver. 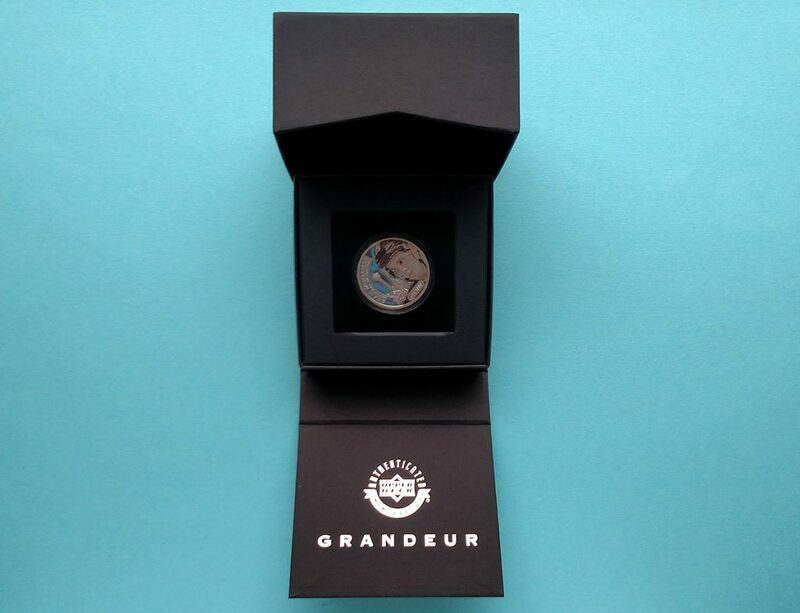 Sterling silver must have a minimum fineness of 0.925, so this coin is actually purer than standard sterling silver. 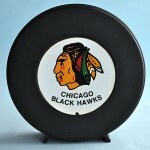 Although the coin measures just under 1.5″ in diameter, the level of detail on these is excellent. 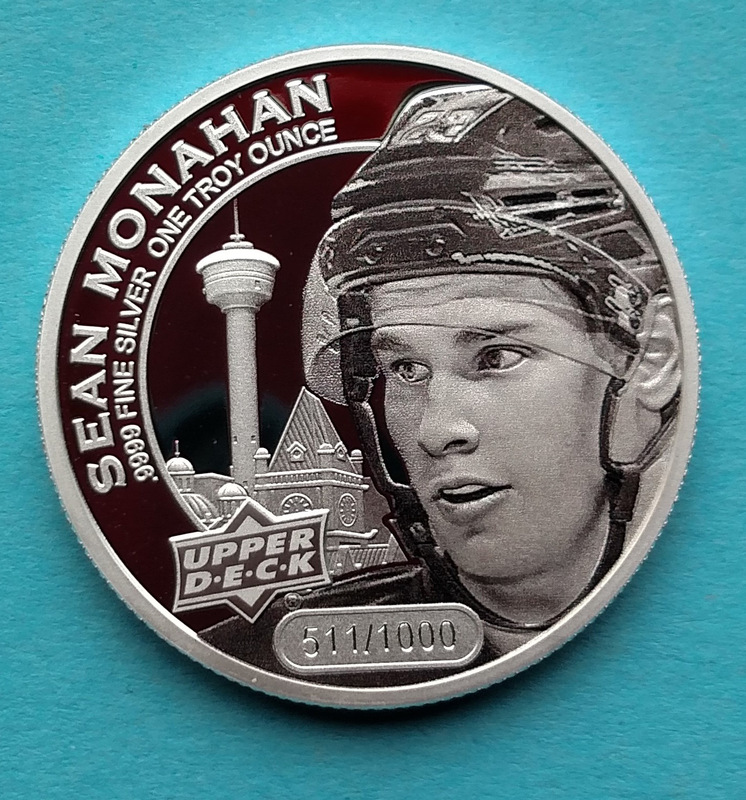 Click on the image above for a supersized look at Sean Monahan’s noggin. Also notice the detail on the buildings in the background. Really, these look good even when viewed larger-than-life. Coins measure just under 1.5″ in diameter. Shown here is a hockey cad for size comparison. 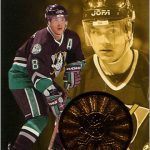 What I like about 2017 Upper Deck Grandeur Coins: The level of detail on the portraits is fantastic. The coins are super-shiny and have a nice heft and quality feel to them (though admittedly, I did not touch the actual coin too much because I didn’t want to get fingerprints on it.) The packaging is what you would expect for a collectible product of this price. What I do not like about 2017 Upper Deck Grandeur Coins: The cost seems steep when you consider that an ounce of silver is around $18 as of this writing. True, you might get a 0.25 ounce 24-karat gold coin — a quarter-ounce of gold is roughly worth $335 — but the odds of that happening are one in every 66 boxes. 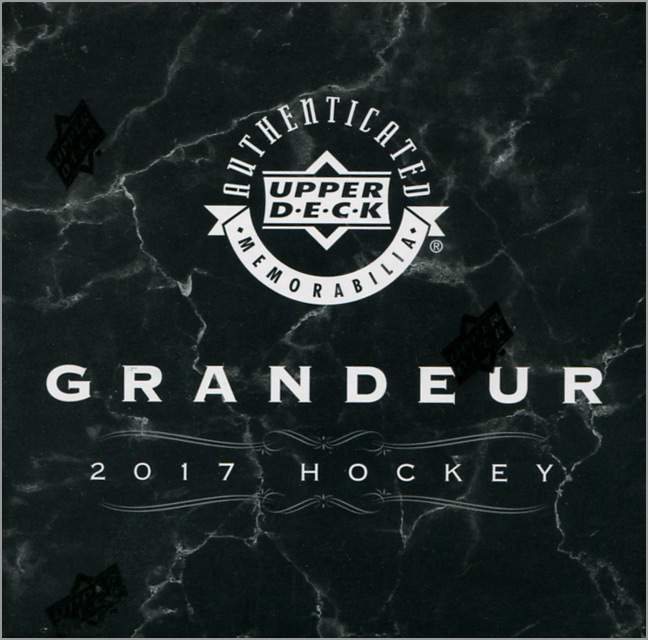 Upper Deck Grandeur is not for everyone. It’s not for me, and it might not be for you. 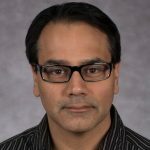 That doesn’t mean that it is a bad product; far from it. The detail is great and these have a nice quality feel to them overall. 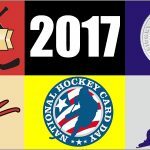 Player collectors might enjoy getting a unique, non-card collectible of their favorite NHLer, too. And for those who like to gamble and aren’t deterred by long odds, the chance of getting a gold coin is enticing. 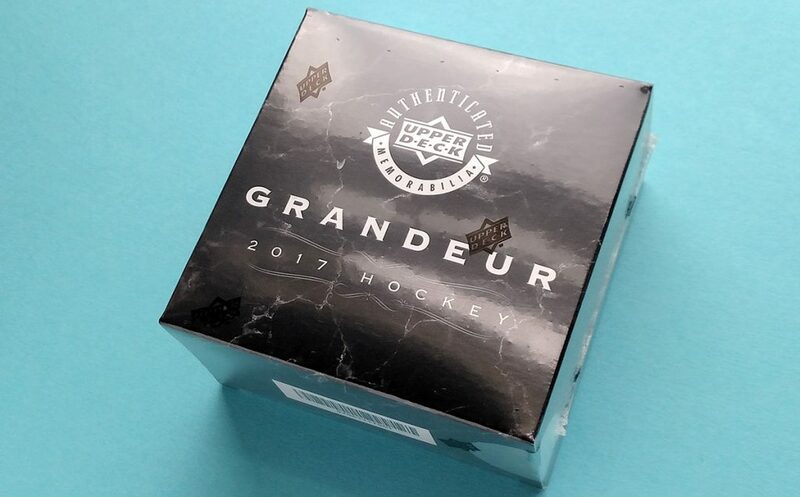 For more information on Grandeur, visit HockeyCoins.com. Wow!!! 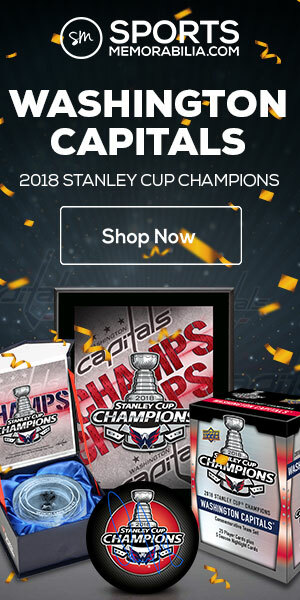 It’s like UD is trying to fill the void of WASTING YOUR MONEY void left from Panini’s absence! 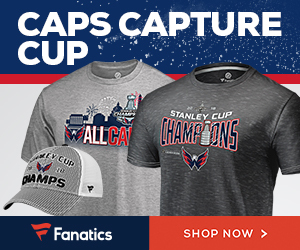 I hope you are not haunted by the ghost of Benjamin Franklin from buying this! But good job on the excessive review of opening everything; well done sir.